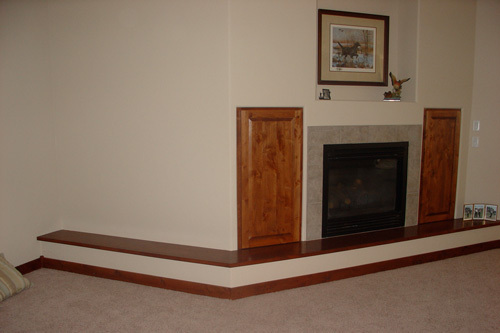 Let the professionals at Averie Construction handle all your basement remodeling needs. We have the experience and training to get the job done right. Averie Construction fits this description perfectly—we are highly experienced and well regarded, and have an eye for the finer things. Whether you know exactly what you want to do with your basement or you need a bit of help settling on something, we are here to help. With Averie Construction’s basement remodeling services, your basement can be transformed into whatever you want. Whether you’ve dreamed of installing the perfect entertainment system, or are looking for the best place for your home office, we can help get you there. The Mancave, also known as a mantuary or manland. This area of the home has been described as a place where a man is free to do as he pleases with his man friends without fear of upsetting the female sensibleness about home decor or design. The options are endless when it comes to mancaves. They can be made to replicate a scene from your favorite movie, themed after your favorite sport or maybe you desire a more sophisticated retreat. Whatever your tastes may be Averie Construction will help you design your perfect mancave that’s both fun and inviting. A remodeling project of any size is a significant undertaking. The aim is to completely re-imagine a space, so you need a company you can trust. Averie Construction has years of experience, and is a respected remodeling company in town. Your source for Local, Professional, Basement Remodeling.